This is the second consecutive year the team has won its division and the third time that they have won a championship. The Marlton Lady Chiefs eighth-grade travel basketball team pose for a photo. 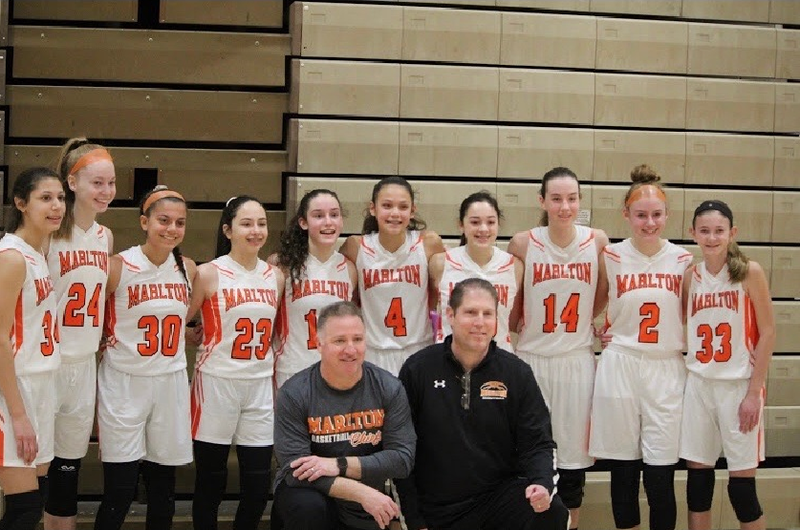 The Marlton Lady Chiefs eighth-grade travel team recently capped off an impressive year with a victory in the championship game of the Inter-County Basketball League over a talented Mt. Laurel squad, 45–33. Not only did the team win their league championship, they also took home the championship trophy in the Renegade (Pa.) Winter Classic and the NJ Invitational Tournament. The Lady Chiefs played a challenging schedule, taking on some of the top town, CYO and AAU programs in New Jersey and Pennsylvania, finishing the year with an overall record of 28–3. Officials say the accomplishments do not stop there. Since this team was first formed in fourth grade, they have played in the league championship every year, winning three titles and have never lost more than three games in a season. They finished their travel basketball career’s as back to back championships in the highly competitive Senior A Division, as the majority of the team played in the eighth grade Senior A Division as seventh graders. The team includes Avery Kessler, Karli Eldabh, Delaney Jackson, Gabby Recinto, Chloe Fallon, Courtney Furman, Vicky Carvajal, Jean Pasquarello, Samantha Shilling, Surina Leszkowicz and coaches Mike Jackson and Glen Furman. The Lady Chiefs received contributions from all members of the team throughout the year. Team officials offer congrats to the girls on a great finish to a wonderful five-year run.